It’s with great pleasure we welcome back the master of the bellows. 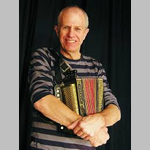 John is an internationally acclaimed musician who can charm an audience with his songs and tunes whether it is in a large festival venue or an intimate folk club like ours. Get your tickets early as we will sell out long before the night.